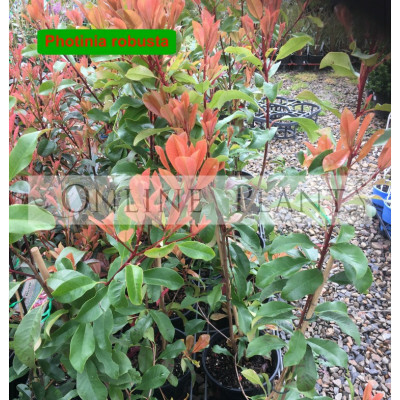 Photinia Robusta from Online Plants is an easy to grow, dense, tall hedge with striking red new growth. It is suitable for a full sun to part shade position, frost tolerant and requires little water once established. Prune annually to help maintain a dense, bushy habit. 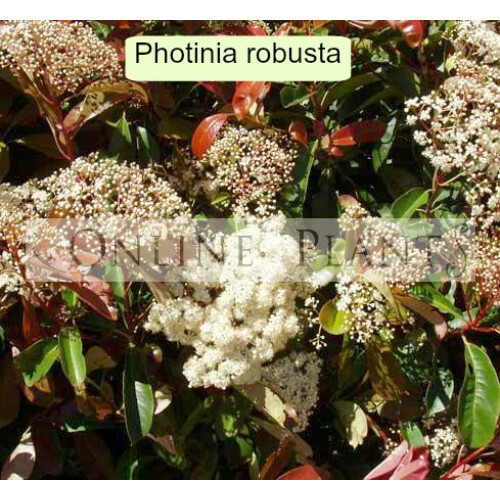 White flowers during the summer, however, the main feature is the striking red foliage in spring. 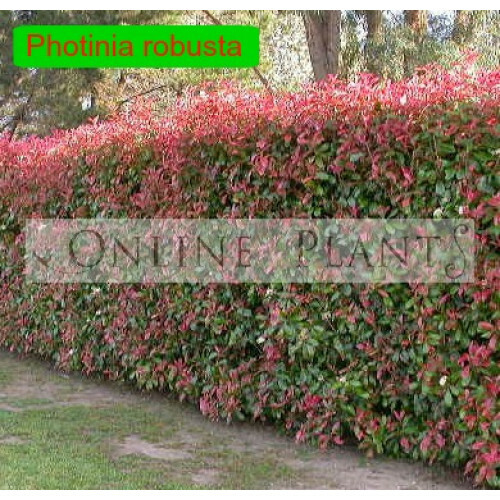 Grow 3-4m high x 1m wide. 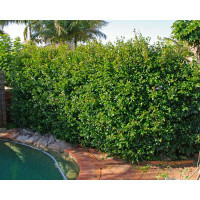 80cm apart for a 2m high hedge.